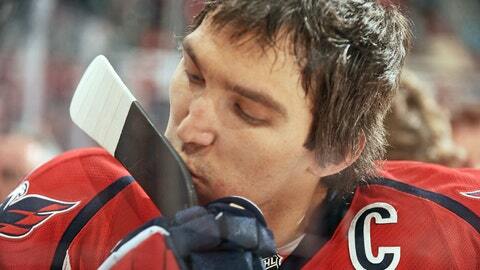 Washington Capitals captain Alexander Ovechkin finds new ways to score highlight-reel goals each season. During the second period of the Capitals’ game against the Montreal Canadiens on Saturday night, Ovechkin scored his league-leading 36th goal of the year by juggling the puck in mid-air before shooting it off of goaltender Carey Price and into the net. Ovechkin’s brilliance sparked a five-goal performance for the Capitals, who defeated the Canadiens 5-0.